Richard Yoes is the Principal at Brazosport High School and brings a passion for education and working with at-risk students. 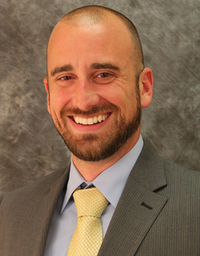 Mr. Yoes has also held the position as Executive Director of Curriculum and Instruction in Pasadena ISD, where he specialized in support for K-12 math, Middle and Intermediate campuses, and technology. His calling to work with students that need him has led him to Brazosport High School, where he is honored to lead the campus into a bright future. A recurring theme for Richard is that all children can be successful, “every child, every class, every day.” With a background in STEM education and school improvement, he is optimistic about the great things to come in Freeport. 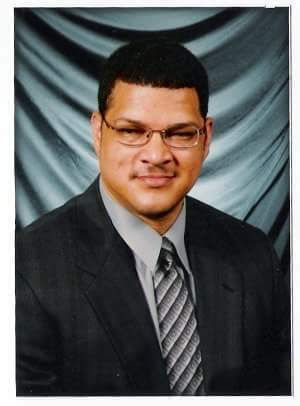 Fred Brown II, Assistant Principal (12th grade) Phone: (979) 730-7260 Ext: 28311 Mr. Brown received both his undergraduate degree in Business Administration and Master of Education from Texas A&M Commerce. Mr. Brown previously taught in Pearland ISD, where he spent time as a teacher and three sport coach. 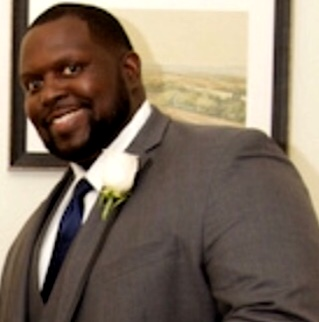 Mr. Brown has 13 years of experience in education and he has a passion for developing meaningful relationships with students and empowering them to grow academically, socially, physically, and emotionally. One of the quotes that motivates Mr. Brown regularly, comes from Steve Maraboli’s book, Unapologetically You: Reflections on Life and the Human Experience, “We all make mistakes, have struggles, and even regret things in our past. But you are not your mistakes, you are not your struggles, and you are here NOW with the power to shape your day and your future.” Mr. Brown is eager to contribute and share his experiences with the community of Freeport. When not molding the minds of tomorrow’s leaders, Mr. Brown enjoys spending time with his family, working out, reading, and listening to music. My name is Lori Halliday and I have been an Assistant Principal at Brazosport High School since 2014. I served 7 years as a high school classroom teacher, a year as an instructional coach and love being an Assistant Principal here at Brazosport High School. I coached Swimming and diving for 5 years, was a class sponsor, and active in making sure my district was all that it could be. I sponsored many student groups on various trips around the country. My undergraduate degree was in history from Stephen F Austin State University and my masters is in Education Administration from Tarleton State University. I grew up in the Dallas area, but came to Brazoria County as soon as I could. I am married to a wonderful man named Sid who loves to get to know our students as well. We look forward to this school year. Mr. Lawrence Rocque began his career in education as a substitute teacher. While he served in this capacity, he was inspired to become a high school mathematics teacher. He earned his Principal Certification through Region 4 ESC (Inspire Texas Program,) Masters of Arts in Education with emphasis on Curriculum and Instruction from the University of Phoenix (Arizona) and Bachelors of Science in Secondary Education with concentrations in Mathematics and Computer Science from Grambling State University (Louisiana). Mr. Rocque’s professional career began in Midland ISD where he served as an Algebra I and Algebra II teacher. Mr. Rocque relocated to the Greater Houston Metropolitan Area where he educated students in Spring ISD and performed many duties, including teaching the following courses: Algebra I, geometry, math models and applications, pre-calculus, and Advanced Placement in Calculus AB/BC. In addition to teaching, he also served as a team leader and department chair. Later, he was promoted to become an instructional coach. As Mr. Rocque continued to grow in leadership, he was the Campus Content Specialist (Mathematics) in Pasadena ISD. There, he focused on curriculum, instruction, and assessment for many secondary courses. Highlights of Mr. Rocque’s leadership consist of four consecutive distinctions awarded by the Texas Education Agency (TEA) for campus academic performance in mathematics—one in Spring ISD and three in Pasadena ISD. Mr. Rocque always looks forward to working with students and teachers in achieving great success. On a personal note, Mr. Rocque is a Los Angeles County native. He’s a devoted husband of more than 10 years and father of one son. I have been an Assistant Principal since 2016 at Brazosport High School, but I am not new to the Exporter family as I am a proud graduate of the Class of 1996. I am looking forward to building on the relationships with students and families that I was able to cultivate during my time in the classroom and as current Assistant Principal. Prior to coming to Brazosport High School, I taught and coached in Pearland ISD, Cy-Fair ISD, St. Thomas High School and the Lighthouse Learning Center. I enjoy working with the rest of the the Brazosport High School family to ensure that the needs of every student are met. My educational experience includes the University of North Texas and Lamar University. Outside of school, I enjoy spending time with my wife Kristen and daughter Carolina. I also enjoy watching movies, hunting, fishing and watching the Houston Astros.